Another act of senseless, yet intentional violence. So disturbing, so heartbreaking, so dangerous. In these moments of horror and destruction we can find the courage to move into this danger. Move in to collect all shattered hope. To remold and hold that hope until those wading in the rubble can gather their balance and look beyond, able to imagine a future. We must rise above fear and sit. 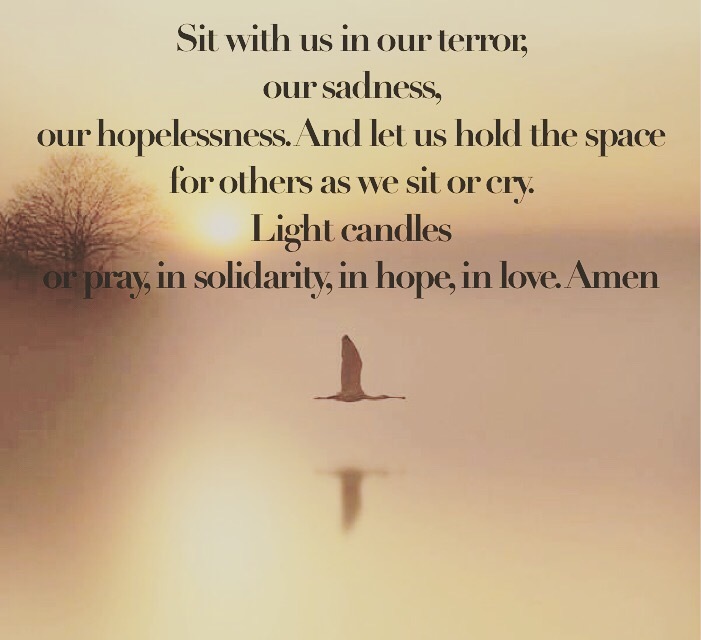 Sit with those grieving and injured in their sadness and hopelessness until hope returns. This entry was posted in gratitude and tagged bombing, compassion, fear, Hope, Istanbul, Life, listen, Risk, sit. Bookmark the permalink.